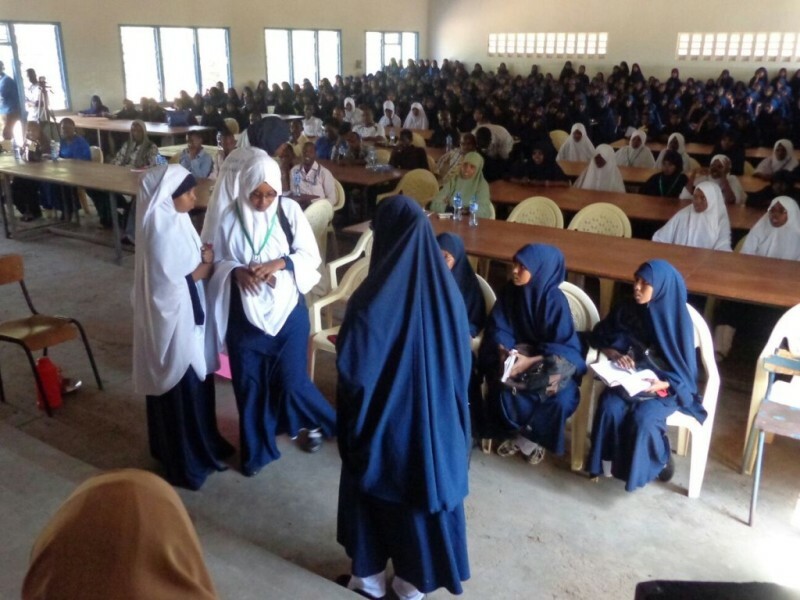 On Thursday, 24 January 2019, the Supreme Court of Kenya overturned a Court of Appeal ruling allowing three Muslim students to wear hijab in school. First, at a time when the country is facing moral decadence among the students at an alarming number of young school girls are reported to be impregnated. It is a disdainful ruling of the court, and it is aimed to push the girls to fit in their rotten secular liberal values, which are continuing to ruin the moral standards of the entire society. The decision which has come at a time when Muslims already are facing the wrath of the state security machinery under the pretext of fighting radicalization for instance on Friday, 18th January 2019 at 11am, two chiefs from Kisumu County raided a mosque in their so-called attempt to stop radicalization teachings! They said they were responding to a government’s directive that Chiefs and their assistant be on the look-out for attempts to radicalize Kenyan children to counter the dangers of terrorism. This is a clear indication that Kenya is driven by Western secular colonial policies meant to ensure that Muslims are divided into moderate (Liberal) Muslims or strict (Radical) Muslims. Third, we remind the Muslim Ummah that they must strictly adhere to their Islam no matter what. While emulating the Prophet ﷺ and the Sahabah (ra) in having patience while they were in Makkah: «يِأْتِي عَلَى النَّاسِ زَمَانٌ الْقَابِضُ عَلَى دينه كالقابض على الجمر» “There will come a day when holding on to your religion will be holding on to hot coals.” [Sahihi Muslim]. We call upon the Muslims in general and especially the Scholars not to waste their efforts in seeking redress in secular colonial constitutional order. Instead, they should embrace the call for the resumption of the Islamic Way of Life by reestablishing the Khilafah (Caliphate) on the method of Prophethood in a Muslim majority nation. Only the Khilafah will do away with the dead and rotten secular capitalist ideology by burying it and its catastrophes into the dustbin of history. The Khilafah will ensure Muslims realize their true Islamic Personality by executing the Shar’iah (Qur’an and Sunnah) strictly and hence guaranteeing a conducive environment to practice Islam in its entirety. Next PostQ&A: The Truth of the British Referendum on the Brexit Project!